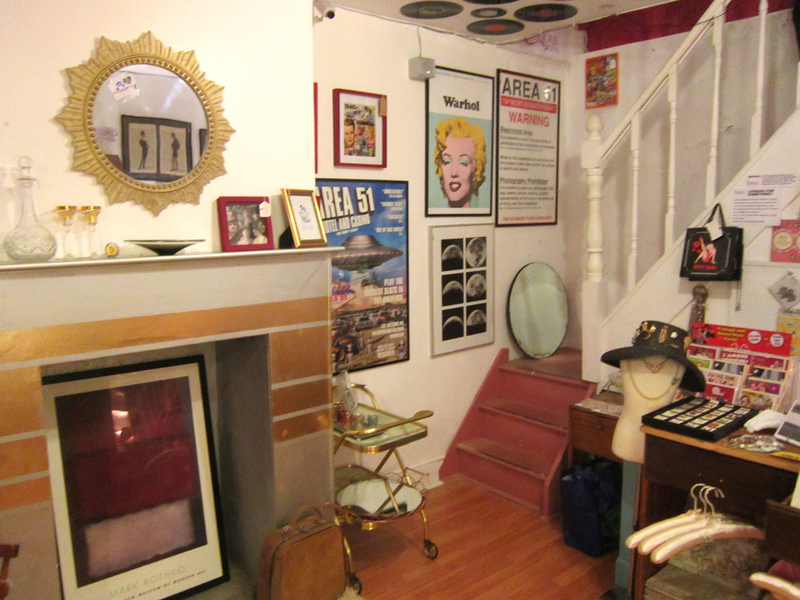 This exciting new venture is in the basement of THE VINTAGE LOUNGE shop in Southend-on-Sea. 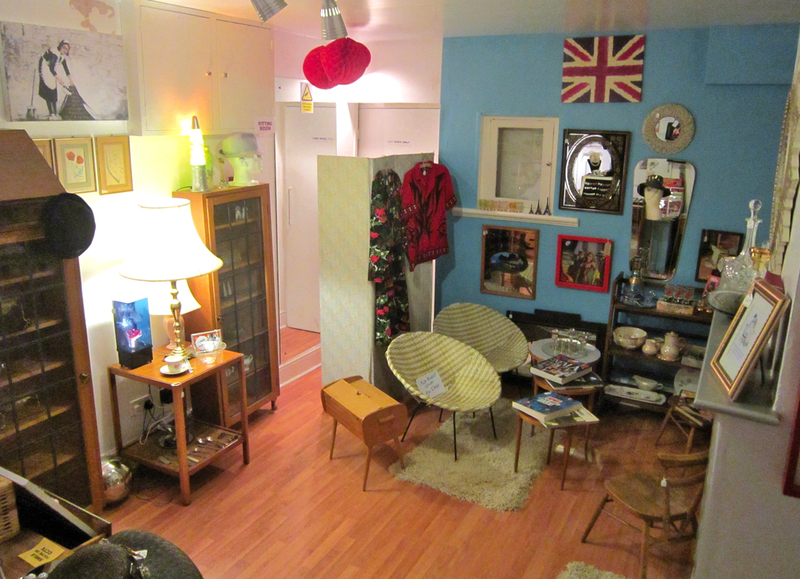 Down there you can find an amazing array of vintage, quirky, retro, recycled and everything in between! 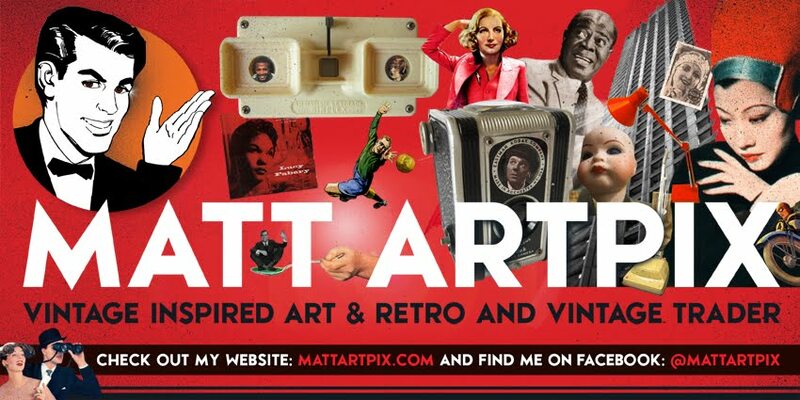 I have on sale a number of my framed pictures and foamboards, including the DAZZLING DECADES and RETRO FOOTBALL series. 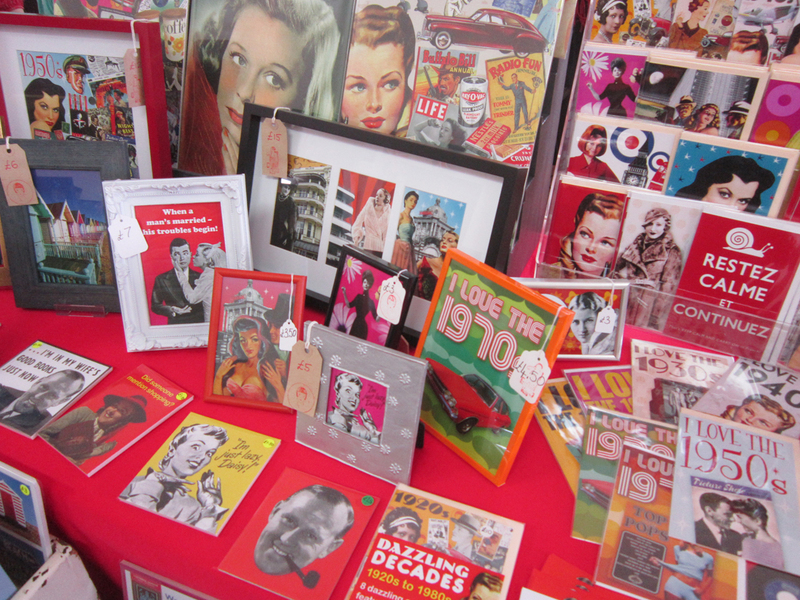 Also a huge selection of my popular cards and some unusual and sought-after books. All this is alongside the fabulous THE VINTAGE LOUNGE, who have a great range of clothes for guys and girls. So if you are curiouser and curiouser, pop down to THE CURIOUS HOME right now!! We are literally a minute walk from The Royals shopping centre in Southend and only a tiny walk from Southend seafront and pier. 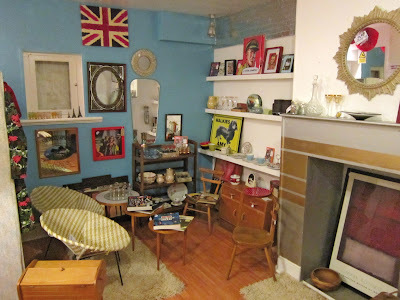 Here is THE VINTAGE LOUNGE! Groovy TV to welcome you in! And here is the shop! Already an amazing array of goodies! And there are the steps to get down there! Had an absolutely sparkling day at DOTTY SPARKLE'S VINTAGE AND HOMEMADE SUMMER FAIR last Sunday! Set in a lovely, bright Art Deco era hall, the sun was out and so were the good folk of Thorpe Bay, making it a very memorable day. 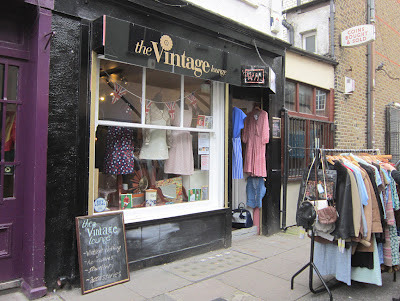 This was my first stall at this venue, having only visiting before as a punter, so I was really looking forward to it. The setting and the music being played were just perfect for a vintage fair. The decorations, posters and the Coronation Café, with their vintage magazines and newspapers, were really nice touches and attention to detail. Great to see people really taking an interest in my work and was very pleased to sell one of my new BEACH BABES range. 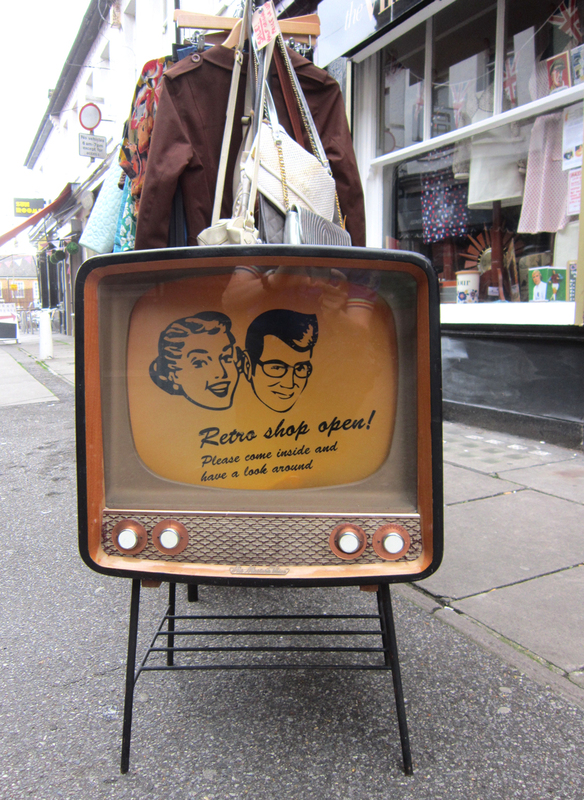 There were lots of footie fans around as my RETRO FOOTBALL were selling fast as well. I even sold a classic 1970s West Ham mirror, which was going to be a Father's Day present for one lucky Hammer! 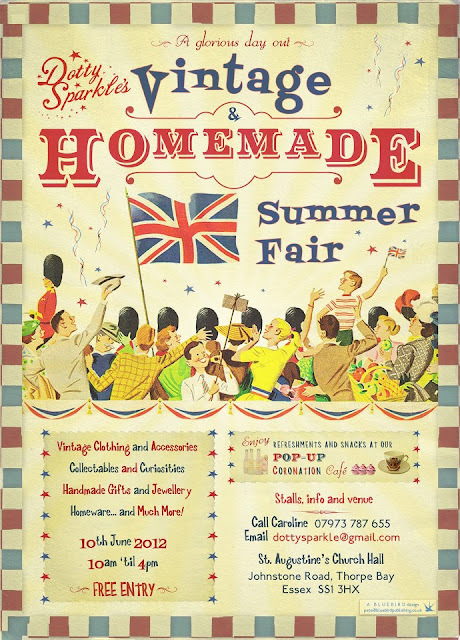 I can't wait to be back there for the next fair on September 16th, see you there!! Fantastic sign welcoming you in! 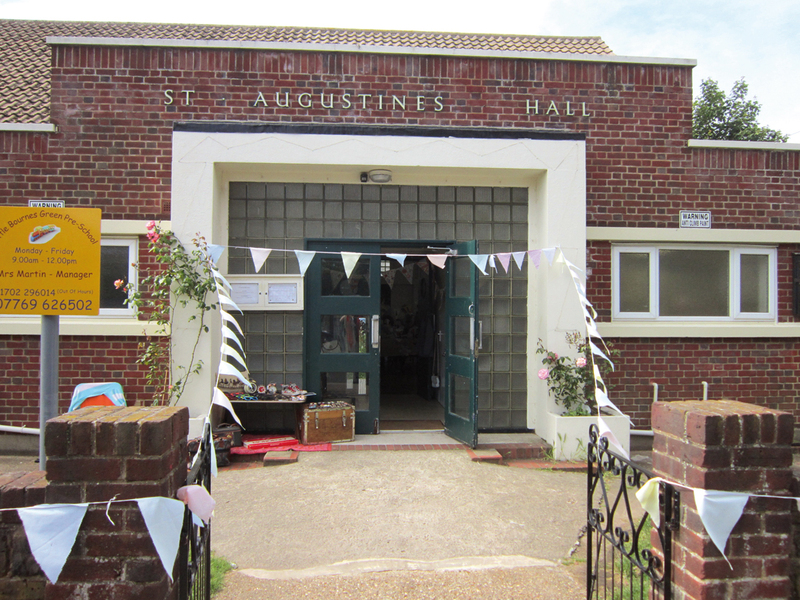 Entrance to the hall, with the lovely Deco details. View of inside the hall, what a lovely bright space! 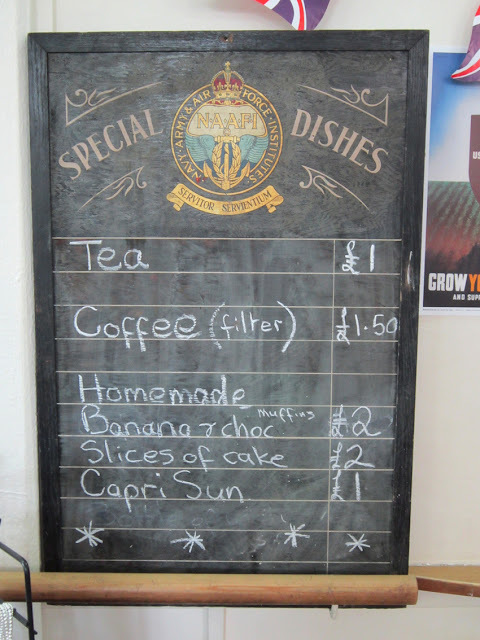 Tempting treats at the NAAFI! 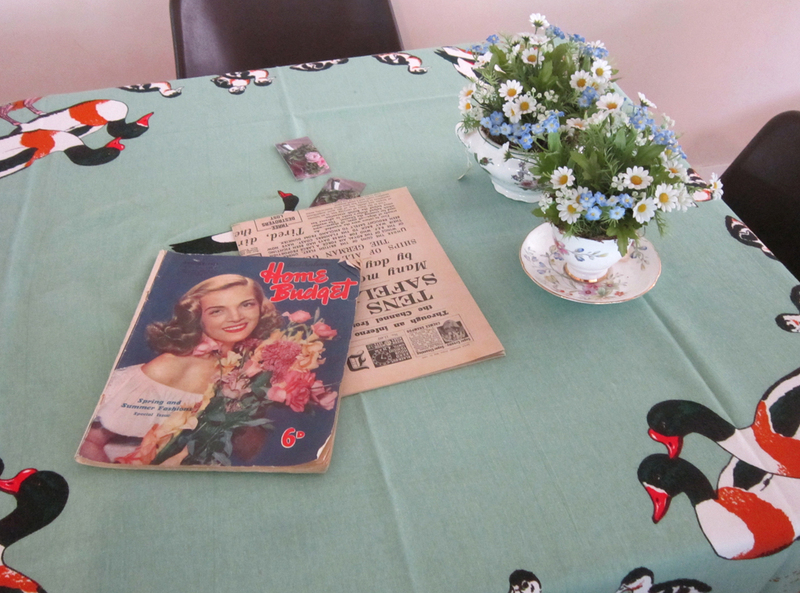 Vintage mags and papers at the Coronation Café. 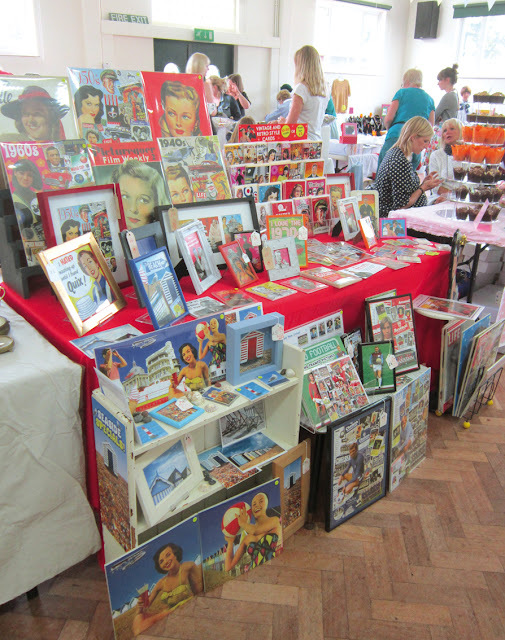 View of the stall, with the Beach Babes on show! 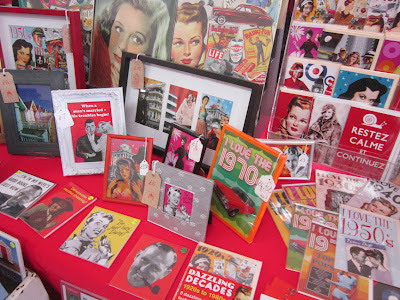 A closer look at the stall, some of these pictures were sold! This Sunday I will be sparkling at DOTTY SPARKLE'S VINTAGE AND HOMEMADE FAIR in Thorpe Bay!! 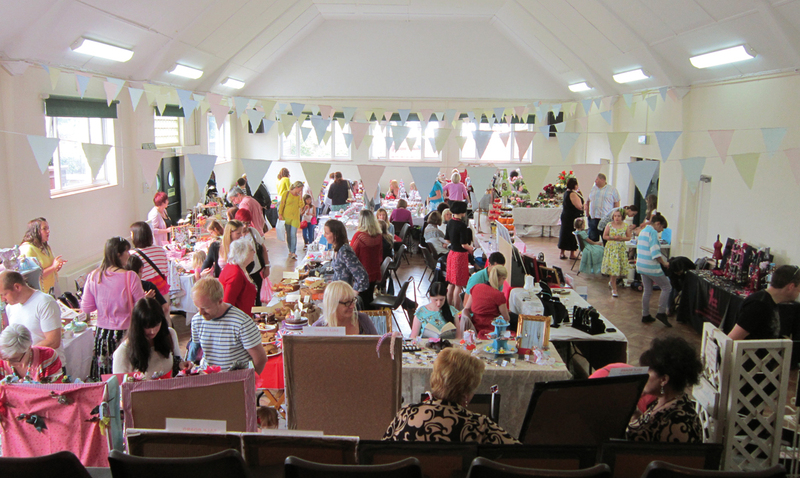 Set in a wondrous Art Deco era hall, this simply marvellous event is a vintage feast and is always absolutely packed!! I'll be in amongst some of the best homemade crafts and vintage people in the area, so if you're dotty about vintage, this is the place for you! There is even a Pop-up Coronation Café, for you to have a well earned cup of tea and a cake after all that spending!! Here is the full address to make it easier for you to find! 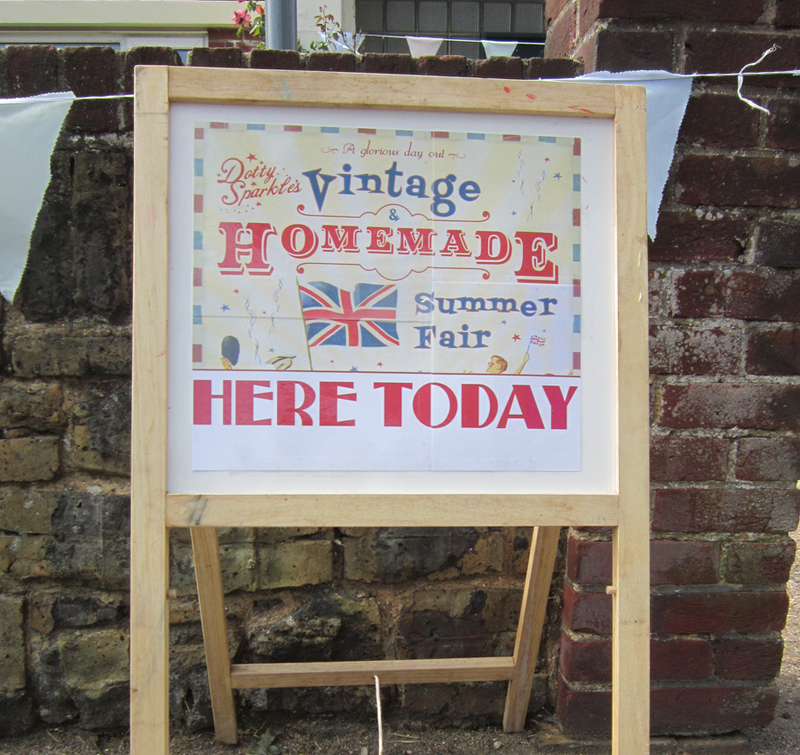 It all starts at 10am 'til 4pm and is absolutely FREE to get in! !